Our brain goes into overtime when trying to bring up trivia such as old movie titles. Luckily, there are online search possibilities to help. 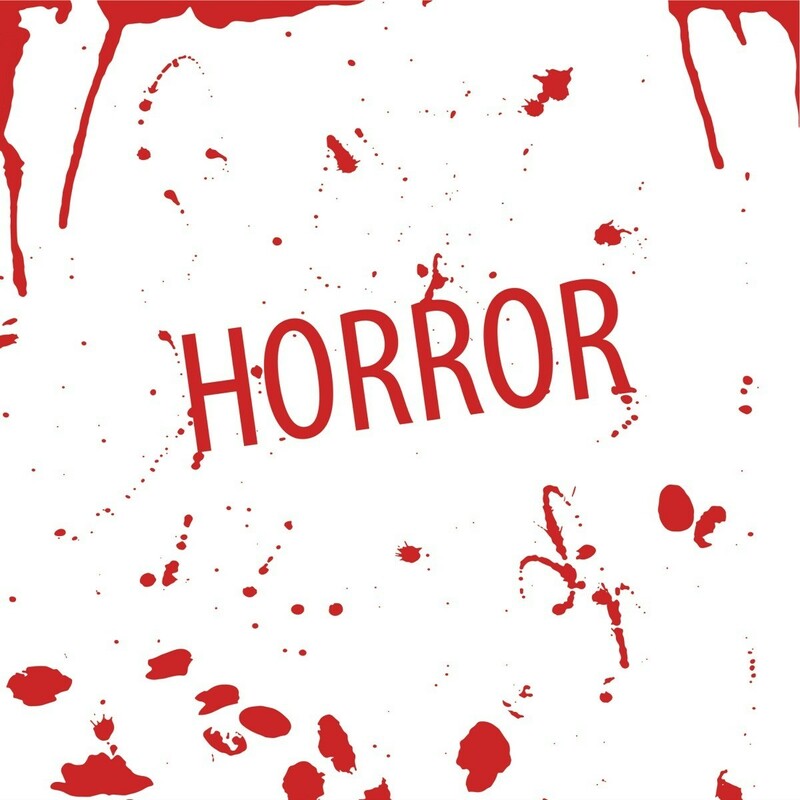 This is a guide about finding the title of an old horror movie. I hope someone can help me with the title of a horror movie I saw years ago. I'm not sure if it was a movie or an episode of a series, but it was in black and white and was made in either the late 60s or early 70s (I'm giving away my age here!). Anyway, here is what I can remember of the plot: A little girl has a doll. She and the doll at times trade places, meaning the girl sometimes becomes a toy while the doll becomes a human. One time the girl's mother comes into her room and sees her daughter as a doll in a box waving to her and the doll as a human. The mother screams in terror. If any of you can tell me the title of this show, I would greatly appreciate it. I have been thinking of this show for quite a few years now and it drives me crazy. Thanks to all of you for your help. I, too, remember that episode of The Twilight Zone!! If I recall correctly, the doll was a gift from the little girl's mother's father who had been visiting in Haiti, or where ever voodoo is practiced. They traded places several times, but at the end the mother scared them while the little girl was the doll, and the doll ran away - that always stuck w/me! I never wanted a life-size doll after that!!! The main character in the episode "After Hours" was an adult woman. I'm pretty sure the one we're looking for is "Living Doll". The doll's name was Talky Tina. -- Believe it or not, it also starred Telly Savalas! I believe your talking about the movie I thought was called Where The Woodbine Twine. after trying to look it up I found out the title is :Where The Woodbine Twineth .I remember it was about a little girl who's father was I think a long shore men that was out to sea for months. He came home and brought her a black life size doll named nooma.the girl kept telling her aunt that nooma was going to take her where the woodbine twine and never come back.the aunt didn't believe her at first until one day she heard the little girl playing with someone else .she knew she heard another childs voice but it was only the little and the doll in the room she locked the doll in the foyer and the doll got out somehow.Nooma came alive and the little girl turned into the doll.and went to the woodbine twine.I hope this is the movie your looking for unfortunately it's not on the market for sale. It looks like it was an episode on The Alfred Hitchcock Hour, called "Where the Woodbine Twineth". Here is a link with a summary, which sounds like what you are describing. The film has a scene in it that is filmed at night and all I remember is the people or creatures in silhouette throwing people in a open pit that I presume is the opening to hell! I know it's vague, but it's been in my head for 40 years now. 1981's The Pit? Creepy as all get out. I do not watch this kind of film but my son does and he also thinks it might be "The Pit" as most of the movie was based around a pit of some sort but he does not think the pit was actually "hell" as we might think of hell but just different kinds of hell on earth; for the people involved. Let us know if this is not the one you are looking for and we can do some further thinking. Did you figure it out???? Please let me know!! I hope you did! I have a weird question. Does anyone remember a movie from the early 70s about a family and a dollhouse. Whatever happened in the dollhouse happened to the family. I know there was a fire in the end. Anyone remember? I think it was called Mirror Mirror, but I don't know and can't find it anywhere. The movie has a mirror from the Amityville house and it shows you how you die. I remember an Asian artist lady has it and it shows her hang herself. I know it's not any of the Mirrors movies and not Mirror Mirror with Karen Black. Dpes anyone know the movie I am talking about? Also where can I get it? I agree - it sounds like Amityville: A New Generation 1993 Horror movie. Here are links to YouTube shorts of this film so you might check some of the scenes to see if it what you are looking for. It was a movie about a young woman (maybe a teen?) who was put in a glass coffin to be buried (it was placed on a horse drawn wagon so an old setting). She wasn't really dead, but couldn't move, open her eyes or tell anyone she wasn't dead. It was a black and white TV movie (may have been set in England?). I watched with my dad on a rainy Saturday afternoon when I was a kid, probably 1966 or so? It made such an impact on me that to this day (I just turned 60) I refuse to be put in a casket or buried! I'd like to see it again, but don't have any clue what it might be called. I remember a movie that sounds like what you describe but the names given are not the ones I remember as it definitely was black & white. We used to watch the 2 Alfred Hitchcock series and I think it was in one of those, but haven't found it yet. Sorry but it doesn't look too hopeful right now. It seems someone ask this question some years ago as I remember looking for it but did not find it - but same movie I think. I hope you find it. There is a movie that I saw in the 1950s that I've been looking for for years. I was pretty sure of the lead actor and part of the title. Haven't found it yet! I can't seem to find an old horror movie I remember watching when I was a kid. It opens up with a guy on a payphone calling his old friends telling them he just got out of prison. When they were in college or something they got drunk and supposedly killed a lady and buried her body in the woods. The guy who took the fall for the group had to call everyone together and the four of them had to regroup to excavate and move the body or something. There was some drama and the guy who went to prison for the group got shot or stabbed while they were excavating the body. It ended up being a prank in the end and he actually buried a mannequin instead. That's all I remember. I hope someone knows the title. Does anyone know the name of an old scary movie (black and white) that had a diving suit that was lying in the corner of a darkened room and begins to inflate all by itself. My husband saw the movie as a child and it frightened him to death. I would like to find the movie as a gift to him. The movie would probably been produced in the 1950's. Please help. Thank you. What ever it was, I saw it. I tend to think it was a Twilight Zone or the other one like it. Good luck, if you find out, post it so we will know. I asked two friends via email who are movie buffs. Will post the answer. Islandsage has a good point - it may very well be a Twilight Zone. I can't find this old movie. It's a scary movie that takes place in a psych ward I think with cells in the basement. There is a bunch of crazy people in their own cell. There's a cell way down the hallway and a patient in there, but it's always dark so you can never see the patient's face. A man continuously goes and talks to the patient and in the end I think the patient turns out to be him. It is not (Madhouse). I watched it around (2008-2011). I remember seeing it on Cox. I hope someone out there can help me. Since forever I've been trying to remember the name of a movie I saw when I was a young girl. One of the key actors in this movie I think was "Vincent Price" and all I remember is that he was in a coffin and the coffin had a glass case in the front so you can see his face. The only other part of the movie I remember is a woman also in a coffin and she was being carried down to a basement or a tomb and there were rats on the cement steps. When the woman woke (she was buried alive), she was screaming a scraping her fingers against the inside of the coffin. I have bought and watched every Vincent Price movie that is in this universe and haven't found the movie. Which leads me to believe it wasn't Vincent Price in the movie. This movie is over 30 years old so this is why I am having such a tough time remembering more of the movie. I know this is a strange request, but this was a movie my dad and I saw together, we both loved horror films. He passed away many years ago, but I have been thinking about him a lot lately. If anyone out there is a movie buff and can help me with the name of the movie I would so greatly appreciate it. Thank you to anyone who took the time to read my request and God bless you. "The Oblong Box". Surely we are not old enough to remember this.